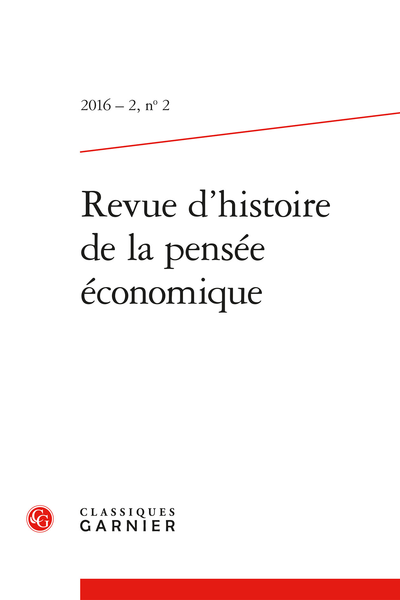 Abstract: The journal Revue d'histoire de la pensée économique publishes original papers on history of economic thought, philosophy, epistemology and economic methodology as well as book reviews. Organic Views on Institutions: Has Carl Menger Anticipated Complex Adaptive Systems? How to found the interested self? The Staging of possessive individualism?